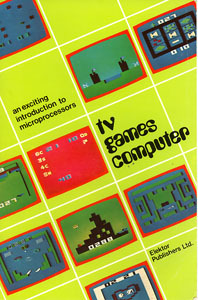 The TV Games Computer, An Exciting Introduction to Microprocessors book takes the reader through the steps of creating a Signetics 2650 CPU computer from component parts. 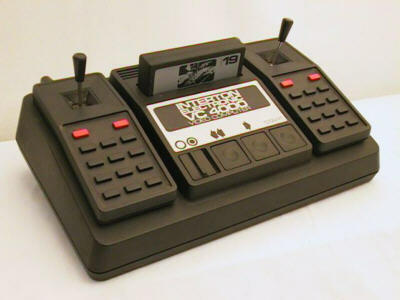 This book is of interest to people who use (or collect) the videogame console called the Interton VC 4000 (picture) or other consoles in the the 1292 Advanced Programmable Video System family. There are several other game consoles (Emerson Arcadia 2001 and clones, for instance) that use 2650 CPU, and this book may be applicable to them too (to a lessor extent). Since I've only seen the book up for sale once (and I purchased it), I have scanned the book into pdf format and bookmarked all of the chapters, tables and figures to make the 248-page book easier to read. TV Games Computer is available for download here, but you should have a fast Internet connection, as this is a 10MB download. Source: Interface Age, Vol. 2, No. 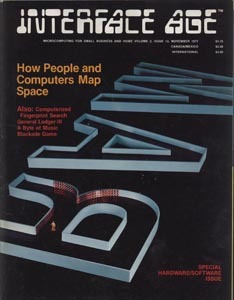 12 (November 1977): 84-100. Interfacing a microprocessor to peripheral devices is an important part of a total microcomputer system design. The characteristics of the interface depend to a large extent on total system requirements and other factors such as CPU loading and data speed. The use of interrupts and/or DMA structures also have an impact on the system input/output structure. The design of an I/O interface is not limited to hardware, and hardware/software trade-offs must be considered. This article examines the use of the 2650's set of I/O instructions and the interface between the 2650 and I/O ports. Interrupt and DMA-controlled I/O are not discussed. A number of application examples for both serial and parallel I/O are given. Several types of input, output, and bidirectional interface devices are also examined.